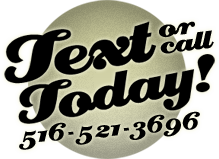 RATES...text or call 516-521-3696 for an appointment today! Because of the long wait at government-sponsored checks, Strapped In Car Seat Safety offers a car seat installation / check at our NHTSA-approved fitting station in Woodbury, Long Island staffed with a nationally and NYS certified Child Passenger Safety Technician (CPST). Why Wait when you can get it done today? Avoid Regrets! *I strongly recommend first-time parents get ‘The New Parent Lesson’ described below. If I come to YOUR house: The price is $150. This is usually the best option because mom’s car, dad’s car, and the grandparent’s car can all be lined up at the same time for a professional installation. How did you get into installing car seats? Being an automotive journalist and the resident ‘car guy’ among my friend neighbors, I was always asked to help properly install car seats. In early 2012, a family I am friends with was in a horrific car accident. Their two children, ages two and a newborn, were safely nestled in the car seats I installed. Both babies were absolutely fine. Those parents convinced me I played a big part in those babies coming out fine, and the time was right to help other busy parents who may not have time to get to a car seat check. So I obtained my National Child Passenger Safety Certification (with a perfect score) and decided to take my knowledge of infants and vehicle dynamics to the next level. Look, racecar driver Dale Earnhardt unfortunately died because his restraint devices did not conform to the manufacturer’s installation requirements. Moreover, NASCAR implemented rules for additional safety devices and their installation to prevent future deaths. No one can change history, but we can make sure that aftermarket vehicle safety devices conform to stringent installation requirements. Why should I have my car seats checked by a Certified technician? A lot of you reading this probably banked your child’s cord blood. That service costs $2500 and then an additional $150 per year forever. However, it hasn’t even been proven if it will be the future of medicine or just useful in only a handful of diseases. What is known is that car accidents are the number one killer of otherwise healthy children. More than any childhood illness. If you want to reduce risk, then this is the best investment for protecting your child. Remember, the latest study shows that almost 90% of all car seats are installed INCORRECTLY. Let’s make sure your baby is not a statistic. I'm pregnant...when is the best time to schedule a lesson? About a month before you give birth. We can go over your car seat options before you go to the store to ensure you make the right purchase for your baby AND vehicle. Then you’ll get a lesson and there will be a properly installed car seat in the backseat when I leave. You’ll be good-to-go before the big day arrives! Remember, the latest study from the IIHS and the University of Michigan Highway Institute stated 90% of all car seats are installed INCORRECTLY. And they are difficult to install. Don’t skimp now and be regretful. Grandma wants to babysit. The Nanny wants to use your husband’s car because yours has a flat tire. The car broke and you have a service loaner. There was an accident. The guy at the carwash undid the seat to vacuum underneath. Whatever the case, we are here to help!